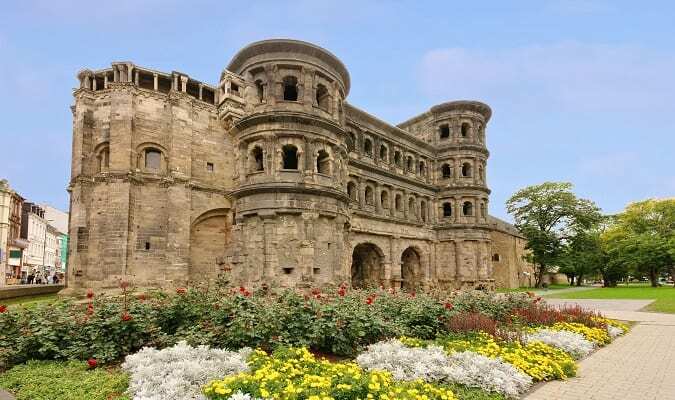 Trier is the oldest city in Germany. 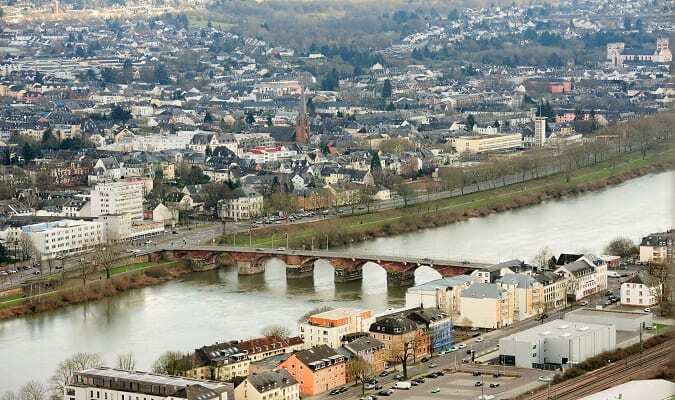 It is located in the region of the Moselle river in Rhineland Palatinate. It was for centuries an important trading place. The Porta Nigra is a fortified gate. It Dominates the northern entrance of the old town. The gate was built at the end of the 2nd century. Today its centuries-old stones are a must-see attraction in the city. 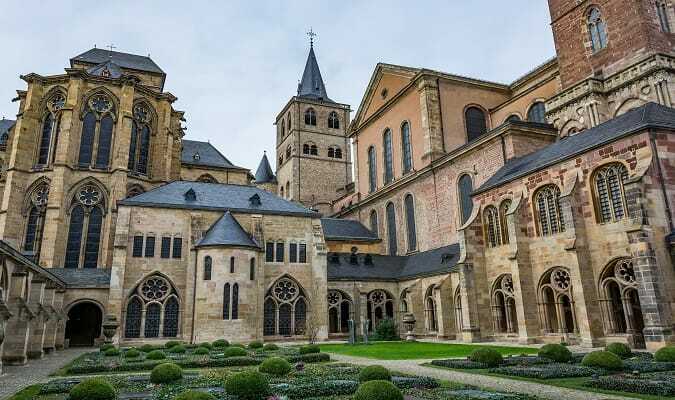 The Trier Cathedral is the oldest in Germany. Much of what is seen today was built in the 11th and 12th centuries and was fully restored in 1974. The Liebfrauenkirche was built in the 13th century. It is one of the oldest examples of Gothic architecture in Germany. The revolutionary Karl Marx was born in Trier in 1818. 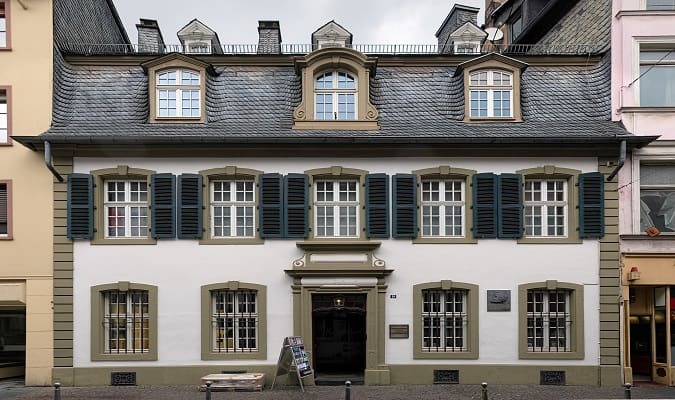 The birthplace of Karl Marx is now a museum. The exhibition introduces Karl Marx as a historical person, the development of his philosophical and economic ideas and his influence in the course of history to the present. Near the Porta Nigra is the Hauptmarkt. 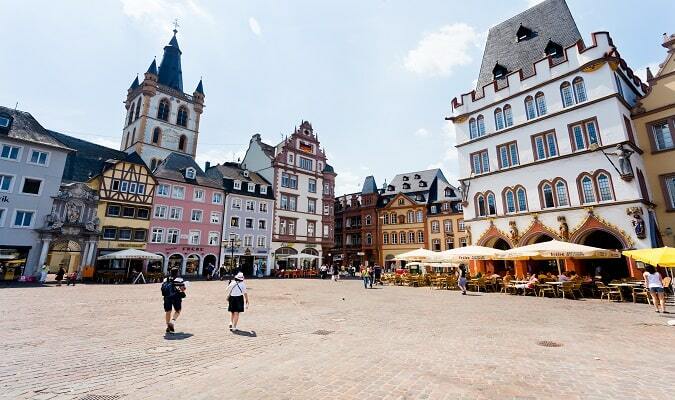 In the square besides its half-timbered buildings you will find many stores, cafés and restaurants. 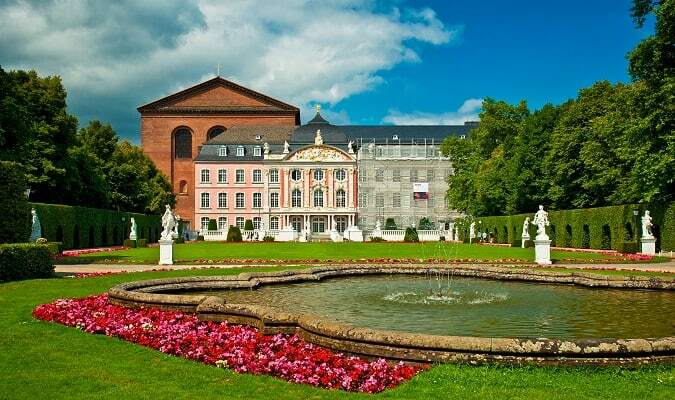 The Kurfürstliches Palais is considered one of the most beautiful rococo palaces in the world. Occasionally there are concerts in the palace room or during the summer, in the inner courtyard, outdoor concerts. 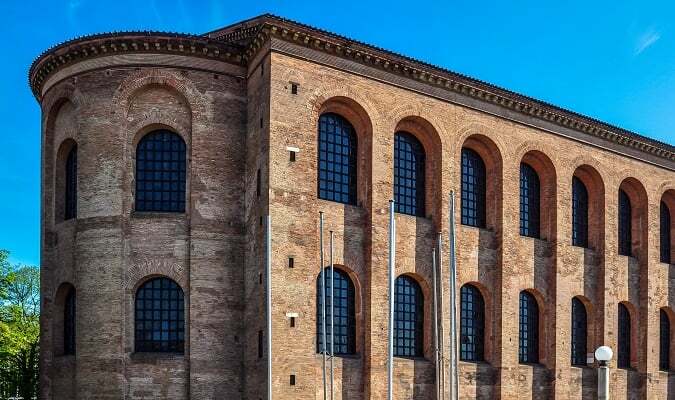 The Konstantin Basilika was built by Emperor Constantine between 306 – 337 AD. 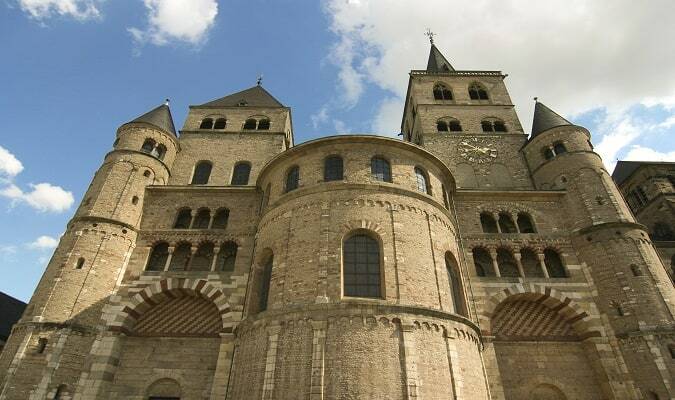 During the Middle Ages it was used as the residence of the bishop of Trier. In the 17th century it became part of the newly built Electoral Palace (Kurfürstliches Palais). 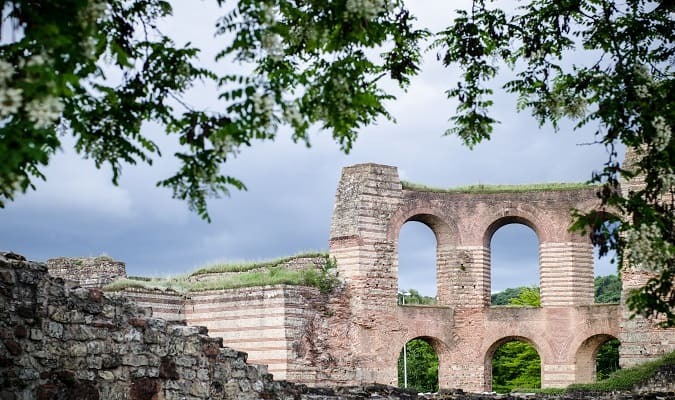 The Kaiserthermen are one of the main attractions of Trier. It was the third largest spa complex in the Roman Empire. In Medieval times the structure was converted into a fortified castle, despite this, many of the original Roman baths can still be seen. Near the Imperial Baths are the ruins of the Amphitheater. It was the scene of many gladiator fights and animal competitions. It is used today for occasional outdoor concerts. The Römerbrücke is the oldest bridge in Germany. The stone pillars of the bridge date from 144 to 152 AD. 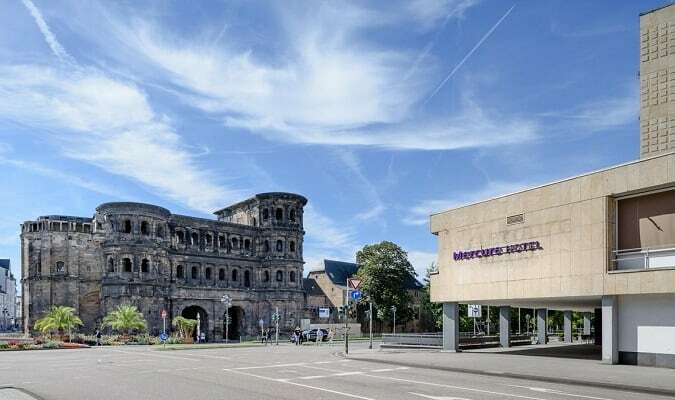 The Mercure Trier Porta Nigra is located 130 meters from the Porta Nigra. Rooms are equipped with a TV and minibar. The Nells Park Hotel is located 2,3 km from the Porta Nigra. The Hotel Villa Hügel is located 1 km from the historic center of Trier. Rooms are equipped with a TV, minibar, work desk, safe. The Trier Galerie is located near the Trier Cathedral. Brands: Bonita, Tom Tailor, Tommy Hilfiger, Zara. Trier has easy train access from various cities in Germany. Famous cities nearby: Frankfurt, Koblenz, Mainz.